The Great Lakes Division (GLD) Junior Committee is the governing body of Great Lakes Junior National Team that competes at the US Ski & Snowboard Cross Country Skiing Junior National Championships (JNs). 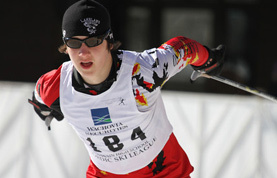 All criteria, by-laws and rules for Great Lakes junior skiing and development are set forth by this body. This includes but is not limited to the governance of the Great Lakes Junior National Team and Junior National Qualifying Races. The Midwest Junior National Team and Great Lakes Junior National Team athletes will be selected based on a Points & Rankings List generated from the results of the Junior National Qualifying races. The goal of the Midwest and Great Lakes Junior National Teams is to introduce and elevate regionally successful athletes to the National racing scene. - Great Lakes Division States / Kentucky, Michigan, Indiana, Ohio and Eastern Pennsylvania. Everyone that is interested in possibly making a Junior National Team should read over the qualification rules. There are differences between the different age groups of what races count towards qualification, how many athletes qualify from each group, etc. Please be aware of these differences. This membership provides points and ranking at select regional competitions such as the CXC Junior Cup. It can also be used to score points in the CXC Youth Cup. * This membership does not include the U.S. Ski & Snowboard National Ranking List points. This membership provides points and ranking at select regional and national competitions such as the CXC Junior Cup, Junior Nationals, Senior Nationals, and SuperTour. If you are a serious skier, it is advantageous to have this type of membership early in the season as it allows accumulation of the U.S. Ski & Snowboard points. The points are required for preferential race seeding at select regional and national events. 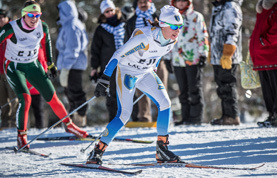 Low points accrue based on improving results, and will give a skier better starting positions both at the Junior National Team qualifying races and at the Junior National Nordic Ski Championships. This can be critical in mass starts. * For those seniors who are looking to ski in college, recruitment to colleges also depends on low U.S. Ski & Snowboard points. AFTER 5PM MOUNTAIN TIME OCTOBER 15TH ANYONE WHO IS RENEWING AS NRL COMPETITOR WILL HAVE A $25 LATE FEE IMPLEMENTED TOWARDS THEIR MEMBERSHIP. 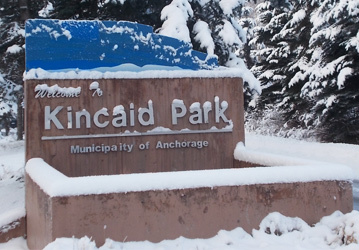 The cream of the crop of American junior Nordic ski racers is coming to Anchorage, AK from March 10-16 for the 2019 USSA Cross Country Ski Junior National Champinships. Fans will be treated to a glimpse of the future of Team USA as the best athletes under the age of 20 face off at Kincaid Outdoor Center. Whether you are new to the CXC Junior Cup races or a returning racer, here are some tips to help you feel comfortable with the process. Registration for races typically closes on the Tuesday before the race. Plan your races and register early. Give yourself the highest opportunity to earn a place on the Midwest team, and increase your racing experience by participating in all the races if possible. If you are on a school team, good communication with your coach is essential. Work together to establish a plan that supports both your school team and your CXC Junior Cup races. The Midwest team will be named after the final race in the CXC Junior Cup series. Please be prepared to pay for the full cost of the US Junior National Nordic Ski Championships (JN) trip at the team naming that takes place after the final CXC Junior Cup race if you are selected for the team. For instance, JN trip to Soldie Hollow (UT) in 2018 was $2,250 per Midwest team member. The required Midwest team uniform could be purchased new or borrowed/bought from a former team member if available. Junior National team members must have a Competitor Membership. Serious competitors should not wait until February to do this. Keep a close watch on the CXC website as race and JN trip details can change rapidly. The website will also be your first source for info on summer camps and clinics. Finally, enjoy the experience! The CXC Junior Cup races and Junior National Nordic Ski Championships trip are opportunities to meet and ski with the finest skiers in the Midwest and the country. It's exciting, motivating and really fun.